Centered in an ornate and improvised theater round, paper cut puppets (Anja Seiger) flutter mystically over a piano, depicting a cautionary ordeal of a prince, his confidant, his love jones and a serpent; an ordeal that hapless wanderers may undertake, and well-tempered town dwellers would dare not. So we gaze on. This back-lit picture show, a classical spoof of scandal-lusting would-be medieval human interest news, wets the audience’s imagination for live theatre. Pianist Paula Foley Tillen accompanied by two-thirds of Cadance Collective, on cello (Alicia Storin) and flute (Emma Koi), deftly plays Mozart’s rapid immersion to the libretto of Mozart’s final composition and its 225th anniversary adaption: Zie Magic Flute. A trio of Valkyrie (Tiana Sorenson, Erin Sura, and Jackie Willis) submerge us further, belting upper range octaves admonishing in song the two unenviable subjects of this tale; this is an opera. Charged to deal evenly and mercurially in all their worldly affairs, frien-emies Tamino (Benjamin Ludwig) and Papageno (Nathan Wesselowski) learn of the plight of fair princess Pamina (Jennifer Hansen), locked away by her maniacal father Sarastro (Mark Corkins). The ladies tantalize Tamino ’s imagination, producing a fetching portrait of Pamina (Jennifer Hansen) for him to view with help from futuristic technology. Convinced to secure refuge for this fair damsel Tamino and Papageno set off, not without having been first equipped with Zie Magic Flute. In their quest, Tamino separates from Papageno when Papageno becomes distracted by a nature’s fowl (Crystal Wagner). Happenstance brings Papageno to Pamina, who breaks her shackles in a unexpected burst of cunning. En route to escape, the Valkyrie accost Papageno and Pamina in service to the Queen of the Night (Sarah Richardson) and entrust a dagger to Pamina so that she might dispatch her father Sarastro. Meanwhile, Tamino has come across a humble wise man presenting himself as a commoner. Tamino , discouraged from his arduous trial, confides his purpose with the stranger. Having wisdom betraying his appearance the commoner warns Tamino of serving hidden intentions of the benefactor whose cause he bears. Fates find joy when the spirits (Jessi Miller, Jenni Reinke, and Andrew Parchman) bring Tamino to Pamina . Doused in desire their chemistry is combustible, they want their burning to become an eternal flame. As any father might, Sarastro noticed his daughter’s escape and has easily tracked her with his fatherly instincts. Sarastro confronts Tamino , Pamina, and Papageno disentangling them from the Queen of Darkness’s plot to have him killed. Trials of wit, human nature and determination issued by King Sarastro will divine clarity of everyone’s lot. Unexpected encounters with sinister elderly women, chalices filled with suspect tincture, the sea, and of course a mystical beast lay in wait. A dagger and magic flute threaten to undo or bring salvation, but voice and persuasion, worldly and netherworldly, win the day. After flirting with tragedy, love reigns. In the end Tamino takes Pamina, Papageno does Papagina (Wagner) and as for Sarastro…. how now with the Queen? Don’t worry these aren’t spoilers, they give you half a chance to know what’s going on if you are not familiar. And after all this is a 225 year old story. Quasimondo Milwaukee Physical Theatre, Milwaukee Opera Theatre and Cadance Collective got together to bring Milwaukee this wondrous adaptation of The Magic Flute. 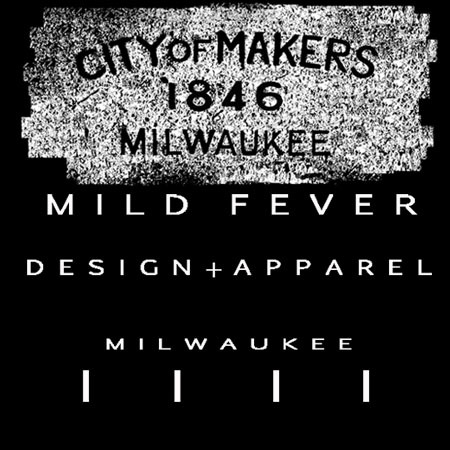 These companies contain some of the brightest artistic minds Milwaukee has in Jill Anna Ponasik and Brian Rott. The choice to add Cadance Collective placed a sharp performative accent on the production. Cadance Collective tether classically trained string and woodwind musicians together with interpretive dance, through Crystal Wagner’s powerful technique to the ensemble performance, and Storin and Koi’s musical virtuosity. Ponasik, a versatile and visionary artistic director in her own right, deserves a lot of credit for taking opera out of moldy places and into the light of contemporary tastes. Rott and his band of gypsies has held the spotlight for upstart and experimental theatre for a solid 5 years running. While this opera generally finds a proscenium, these conspirators chose an octagonal foyer in the Tripoli Shrine Center, as a nod to Mozart’s affiliation and knack of the libretto’s author to thread this story with Masonic imagery. A stunning back drop of geometrically patterned mosaic glass and tile from floor to ceiling, provided ornamentation for this theatre in the round. The staging’s close quarters with the audience and the dimension added by the balcony was used fully by the production ensemble. The three piece music ensemble led by Paula Foley Tillen filled the space amply and dutifully. Dance, props, low-tech special effects, and kitsch comedic bits, hallmark elements of physical theatre, begged the audience’s imagination to participate in this story assisted by crude material representations earthly items and resourceful stage lighting design. Large format puppetry bestows even more fantasy upon this play. Born at the hands of Sally Duback, this production apparently awoke a ghastly beast from a 15 year hibernation. Although an opera, the accessibility of this piece should comfort novice opera goers. Parochial opera patrons may find the upstart physical elements offensive to high minded sensibilities, but likely not. The performance gives you the snooty esteem I imagine pervaded high society engagements of Mozart’s time, snooty, cheeky, snide, absurd and mildly lewd. Corkins’ strength of presence grounds the attention of everyone in the room, and the voices of Richardson, Hansen and Sorenson carried it to the clouds. I really wished I had a powdered wig for this one. Daniel Brylow completed the translation for Zie Magic Flute, Jason Fassl conceived the lighting design, Nikki Maritch fitted the costume design, Andrew Parchman designed the promotional artwork, and Jim Padovano saw to the stage management. Zie Magic Flute runs through January 28 with remaining performances tonight (1/27) at 7:30p and weekend matinees Saturday and Sunday the 28th and 29th at 1:00p at the Tripoli Shrine Center on 30th and Wisconsin Ave. Tickets are $28 with a student/artist discount available. The admission is on the pricey side and fitting for this lovely spectacle of the arts. Secure, off-street parking is available. 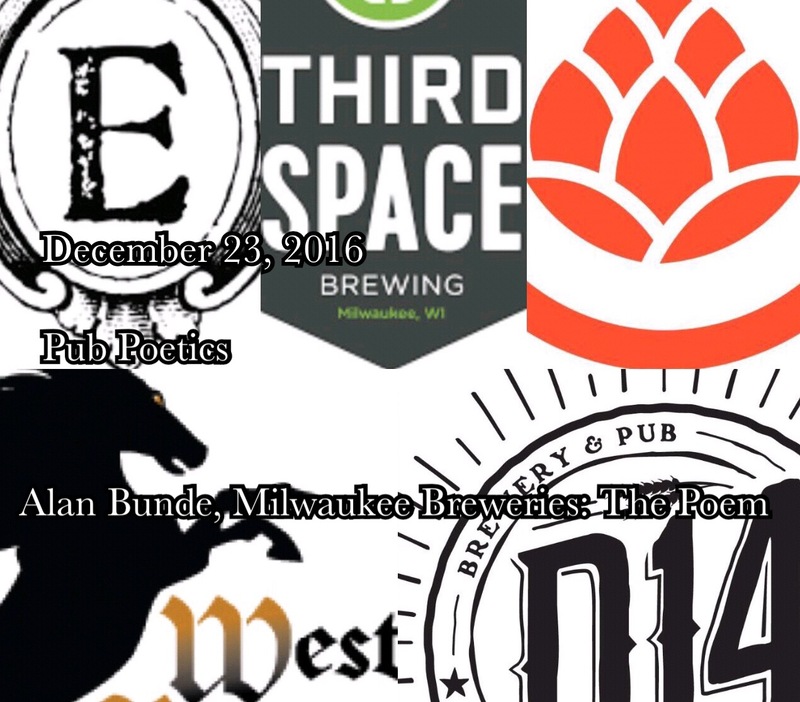 A bounty of microbrews have reached full fermentation in Milwaukee 2016. If a doubt lingered about what city is the beer mecca, the new brews on the scene have put those doubts to rest. You shouldn’t have had a hard time convincing your relatives to come to MKE anyway, so I’m sure you’re scratching your head about what to get into on the night before Christmas eve. If you can decipher these heartfelt lines of beer soaked poetry from long time home brewer, and self-proclaimed Ambassador of Beer, Alan Bunde, you’ll have a written treasure map to swilling delight. BIG HEAD, small space, Wauwatosa, State St.
RAISED GRAIN, Waukesha, Bluemound Rd. URBAN HARVEST on the south side, 5th St.